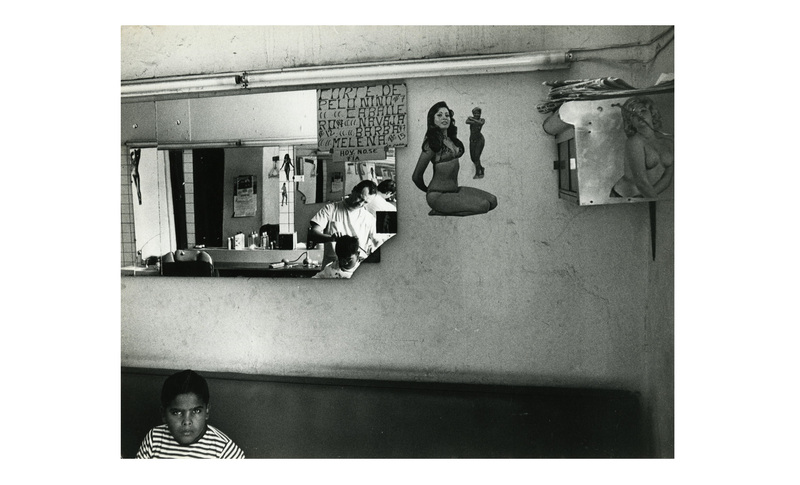 Sersa is one of the authors of Letreros que se ven (Billboards on Display), an anthology of photos devoted to the proliferation of graffiti, billboards, and posters in the working-class areas of Caracas and in remote areas of Venezuela, published in 1979 by the collective El Grupo. El Grupo was founded by the photographer Luis Brito in 1976, along with his colleagues Alexis Pérez-Luna, Ricardo Armas, and Jorge Vall. The group’s motto was “we do not want to make pretty photos” and their documentary photographs combine criticism and humor. Born in 1946 in Trieste, Italy. Lives in Venezuela. Born to an Italian father and a Slovenian mother, Vladimir Sersa arrived in Venezuela at the age of nine, as his family fled the postwar economic recession in Italy. In the 1970s, he abandoned his chemistry studies at the university in favor of photography. He belonged to El Grupo, a collective that included Luis Brito, Ricardo Armas, Alexis Pérez-Luna, Jorge Vall, and Fermín Valladares, and traveled extensively in Venezuela on documentary projects. His photographs, almost all black-and-white, evoke the “desolate homeland” referred to in the title of one of his most important series: Por aquella desolada patria. The series was the result of several years of travel in Venezuela, during which Sersa discovered the historical amnesia and sense of abandonment that prevailed in the country.